The label would become a driving force in the early days of disco with KC and the Sunshine Band, Betty Wright and George McRae. Among those hanging around the TK Studios in the early 1970s was local club DJ Bill Kelly. 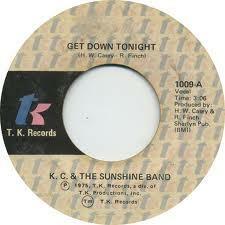 He spun records by TK artists and others as the disco craze hit South Florida. In 1985, Kelly founded the Winter Music Conference in Miami. It remains the pre-eminent music conference for the dance music industry. Below, hear an interview with Kelly about his memories of Henry Stone. Winter Music Conference co-founder Bill Kelly remembers TK Records boss Henry Stone.